New SAF Press-Loc® Gravel Stop Fascia Profile Collection SAF – Southern Aluminum Finishing Co, Inc.
Villa Rica, GA – September 10, 2018 – SAF Perimeter Systems announces the addition of four new collections to their favored Press-Loc® Gravel Stop Fascia Systems. The new Traditional, Eclectic, Geometric and Crown Collections use the same ANSI/SPRI/FM 4435/ES-1 tested two-piece design with new snap-on decorative fascia profiling designed to give more options while allowing the true vision of Architects and Owners to be expressed. All Press-Loc Gravel Stop Fascia Systems are easy to install two-piece assemblies with an extruded aluminum secure bar and decorative snap-on fascia fabricated with heavy gauge aluminum along with stainless steel spring clips to ensure full engagement of the fascia. “Over the years, our clients have requested customization of our Standard Press-Loc Gravel Stop Fascia Systems for their low sloped roof edge application. 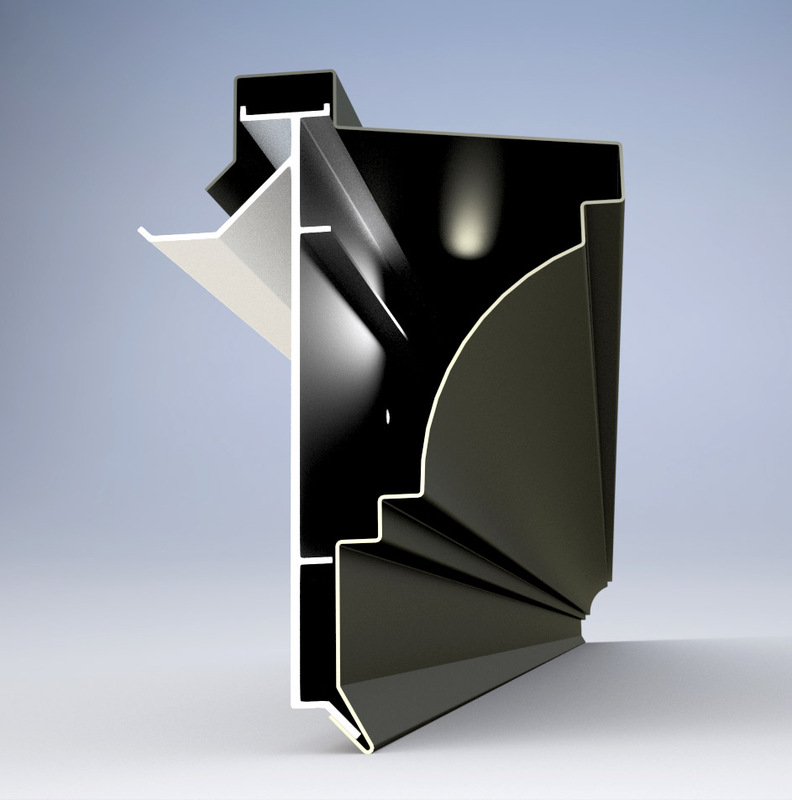 They wanted the option to complement their selected Designer Series Gutter or Cornice System, so our design team went to work creating these unique and aesthetic collections to satisfy this need in the commercial building industry,” states SAF Perimeter Systems Product Manager, Corey Faciane. SAF Perimeter Systems introduced their Press-Loc Gravel Stop Fascia System in 2002 and in 2003 the system was tested and approved meeting the FM Global Loss Prevention Data Sheet 1-49. In 2011 SPRI released a harmonized standard known as ANSI/SPRI/FM 4435/ES-1 in conjunction with ANSI and FM Approvals. SAF’s Press-Loc® Gravel Stop Fascia System has been tested and it complies with this ES-1 standard. Each system is available in 56 standard colors in a variety of aluminum thicknesses. If the construction team wants a custom color, SAF can quickly mix and apply custom PVDF colors at their in-house coating facility. SAF Perimeter Systems is a division of Southern Aluminum Finishing Company that designs, manufactures, and supplies a variety of architectural metal products including the Designer Series Commercial Gutter Systems, Designer Series Cornice Moldings, Pediments & Entablatures, in addition to the Press-Loc Series of gravel stops and copings. 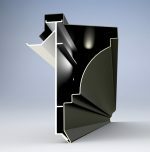 The division also offers custom fabricating services for architectural applications.